The design of your local business website landing page dictates how well visitors convert into email subscribers and buyers. The goal of your landing page should therefore seek to keep visitors on your website and actively participating on it by signing up to your email list or purchasing products and services. Here are a few tips to designing a landing page that achieves these results. Keep the design simpleSimplify the structure of your landing page so that it is easy to navigate with clearly marked calls to action, minimal but eye-catching graphics. In addition avoid the use of flash or long videos that take a long time to load because it not only distracts the visitor but the long loading times irritate them causing them to leave your site. Also use website themes that are professional and current so that your site doesn’t look outdated and suspicious. Create different landing pages for different products and services.In this way your visitor will have the right offer right before them and they won’t need to look anywhere else on your website for it. Unique landing pages also allow you to customize each of them using the relevant marketing strategy such as specific copy-writing and so forth. 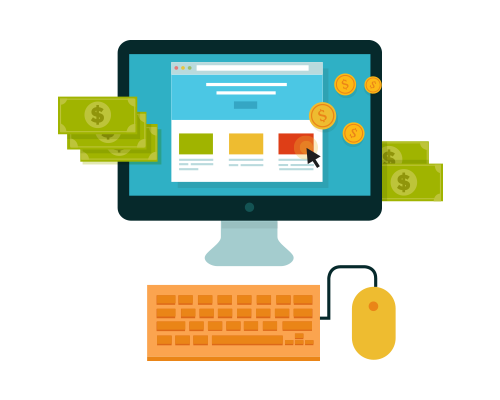 Additionally landing pages should always be built into your local business website and not hosted on another site as these pages will also be indexed by search engines and contribute to your sites SEO. Have clear calls to action.Your landing page should only give your visitor one option: to do something. Make your local business landing page as interactive as possible depending on what you want your visitor to do. If you want to increase your Facebook fan-page, then have a Facebook Like box with some text like join us on Facebook. If you want to have them sign up, have an opt-in box and ask them to sign up for your monthly newsletter, sales updates, coupon offers or whatever you are offering. These calls to action should be clearly displayed on the top half of your website where they will be instantly seen once people land on the landing page. Making visitors scroll down the page to see the calls to action is a definite no-no. Go ahead and update your local business landing pages with these tips and improve your conversion rates.